Kat is quick, quirky and an all-round comedian/entertainer with enormous appeal to adults and teenagers up and down the country. He is well known for his antics on MTV Base where he has presented numerous shows including a show about Trinidad Carnival, Kat In Ghana a more serious show about the lives of people in Kwahu Tafo, a show in Jamaica where he recorded his own song (20 seconds of it!! ), “The Lick” (with Trevor Nelson) and the “Request Show”. As well as being an experienced presenter, he is also an experienced choreographer, dancer and actor. 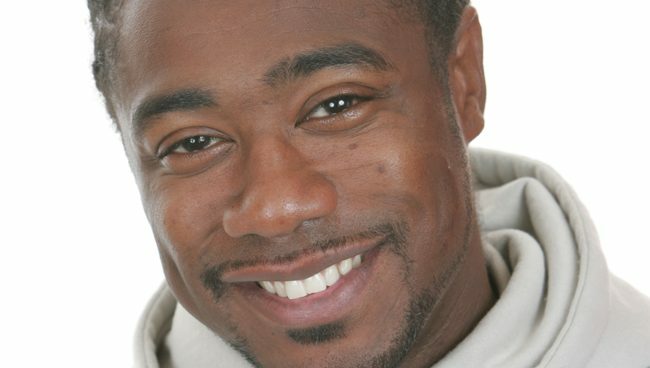 Kat presented his own radio show on Choice FM for 8 years both on his own and with Richard Blackwood for 5 years. Kat has appeared in numerous productions at the Theatre Royal, Stratford East including Lorca’s “The Public”, “The Dragon Can’t Dance” as well as many variety nights. He also worked as a choreographer on Theatre Royal’s touring musical “One Dance Will Do” and the 2002 production of “Shoot 2 Win” and Roy Williams acclaimed ‘Little Sweet Thing’. The ultimate comedy grudge match. Kojo, Kat MTV, Dizzle plus more go head to head for one night only. Back To The Old Skool brings a Black History Month Special with acts from your favourite old skool comedy shows such as Real McCoy, Blouse and Skirt & The A Force.